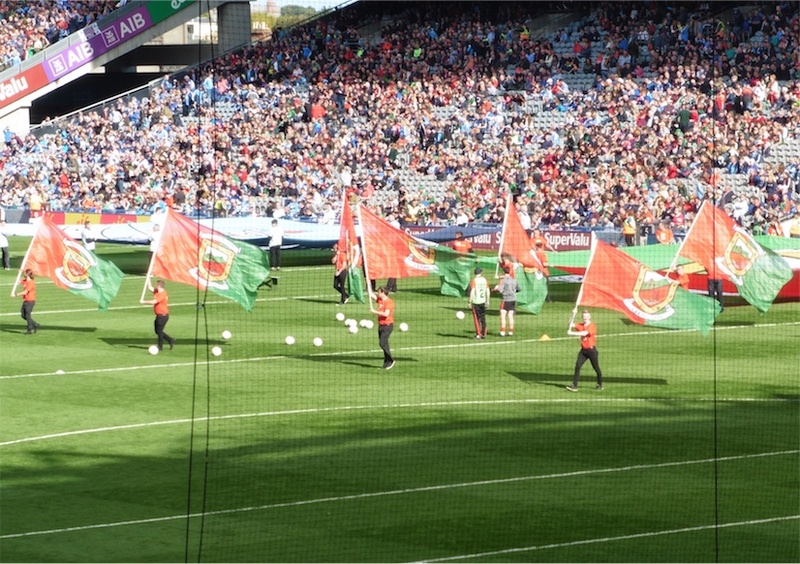 CONFIRMED: we’re off to Croke Park for Kildare game | Everything Mayo! It’s just been confirmed officially that our Round 3 qualifier tie against Kildare next Saturday will be played as part of a double-header at Croke Park. The Cavan v Tyrone match will throw in at 5pm and our game afterwards at 7pm. Both matches will also be broadcast live on Sky Sports. It’s not an ideal outcome, to be honest, for either set of fans – Kildare are losing a home game they’re entitled to while our supporters will have a late trek west after the final whistle – but it’s a decision largely dictated by logistics. St Conleth’s Park wouldn’t have been able to host the game and, with the Irish Derby on at the Curragh the same day, traffic in the locality would have been a bit of a mare (pardon the pun). Allied to that, Cavan can’t host their home tie against Tyrone as Breffni Park is closed for redevelopment at the minute so the logic of playing the two matches together at HQ is fairly compelling. Plus it’s where the players want to play and it will obviously suit Sky as well. So Croker it is. Back to HQ for us for the first time since last year’s All-Ireland final. Back to what has become in recent years a bit of a second home for us and where we’ve also played our best football. All told, then, we could be playing this one at a worse venue. The post CONFIRMED: we’re off to Croke Park for Kildare game appeared first on Mayo GAA Blog.